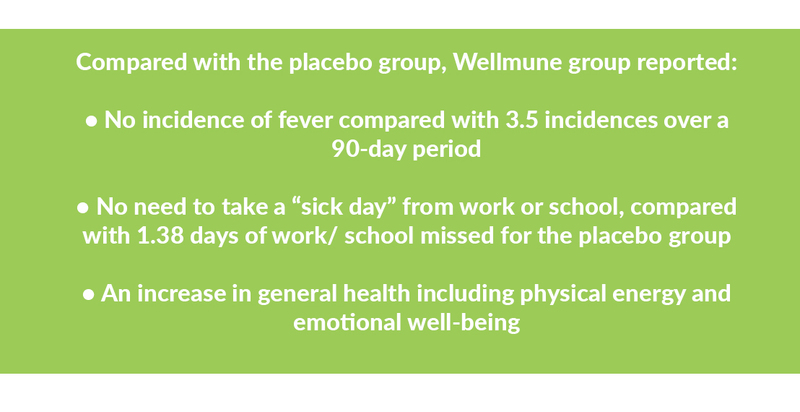 In a cold season study with 40 healthy subjects, Wellmune reduced the incidence of fever and eliminated the need to miss work or school due to cold-like symptoms. The double-blind, placebo-controlled study included subjects, aged 18-65, who were treated daily with either 500mg of Wellmune or a placebo for 90 days. In contrast with the placebo group, the Wellmune group reported an increase in general health markers, including physical energy and emotional well-being, as measured by a clinically validated health survey questionnaire (SF-36v-2). 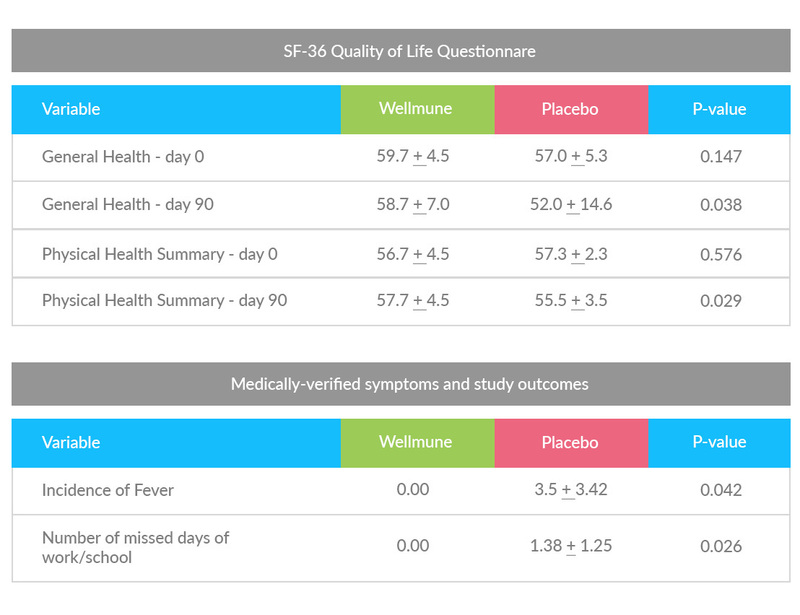 In addition, although there were no differences between groups in the number of colds, at the end of the 12-week test period the Wellmune - supplemented group exhibited significant improvements in Physical Component Summary scores as defined in the SF-36v-2 health survey. Subjects self-administered SF-36 Quality of Life Questionnaire. The SF-36 consists of eight scaled scores, which are the sums of the questions in their section. Each scale is directly transformed into a 0-100 scale on the assumption that each question carries equal weight. The eight sections are: vitality, physical functioning, bodily pain, general health perceptions, physical role functioning, emotional role functioning, social role functioning, and mental health. 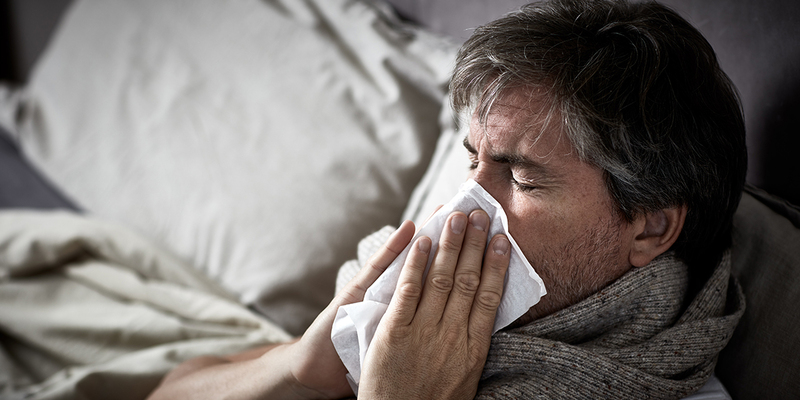 “Randomized Phase II Clinical Trials of Wellmune® for Immune Support During Cold and Flu Season.” The Journal of Applied Research (2009). 9:20-42.